At TermLife2Go, we are on a mission to equip each of our visitors with the tools to increase your financial smarts. This serves two purposes, it helps our readers make extra money fast so that you can buy some cheap life insurance. It seems almost everyone has an iPhone or other type of smart phone mobile device these days. Which got us thinking, instead of wasting time on it, is there a way for it to benefit us? In the following article covering the best money savings apps we scoured the internet to discover the top money savings apps that help you get out of bad debt and move towards financial freedom. What you do with the savings is your decision but apart from getting life insurance we hope you explore some of our passive income ideas so that you can start having money work for you, instead of the other way around. Because we have found value in each of the following apps, we have chosen to list them here in this article by alphabetical order so that we don’t “accidentally” bias ones thoughts as they consider each on their own merit. It’s important that this is an “ever changing” list which we imagine will continue to grow so we would encourage to you revisit our article every now and then as well as let us know what “apps” you find on your own that have helped you save money yourself. You Need A Budget (YNAB). Earlier, we saw Qapital which is an app that, among other things, can round-up your online purchases while storing the pennies away for a rainy day. Now, we have an alternative solution to the same idea and it’s called ‘Acorns’. This being said, there’s one key difference; this time, your money will actually be invested into a portfolio chosen by you (after considering your income and investment goals). Within each portfolio, your money will go towards exchange-traded funds and they’ll differ in terms of the risk you’re willing to take. Ranging from conservative to aggressive, your portfolio will swing towards stocks or bonds depending on this key piece of information. As long as your balance remains under $5,000, you’ll only pay $1 per month which is nothing compared to the service you receive in return. For more information about the Acorns app, be sure to check out our full article: Acorns App Review. As the name suggests, the BillGuard app is actually focused quite heavily on security and guarding your cards as well as allowing you to save money. To start, you’ll need to sync the app and your bank accounts. From here, your balance will show as well as all your outgoings for this month. In a similar layout to Tinder (if you’ve ever used this app), you can swipe through every single expense and make sure you’re responsible. As time goes on, the app is receiving regular updates and it now includes a number of features including ‘Follow-Up Later’, Help Me Recognize This’, and ‘Report/Contact Merchant’. As you can see, BillGuard is the perfect combination of saving money and staying safe while doing so. Unfortunately, a significant amount of people don’t check their bank statements to account for every single expenditure but BillGuard allows you to do it in a, dare we say it, fun way. For more information about BillGuard, be sure to check out our full review: BillGuard Review, Should I Try it Out! In recent years, the investing industry has taken huge steps to prevent it from happening but there are still some fraudsters out there. Suddenly, all the money you’ve worked so hard to earn has been given to a scammer and you’re likely never to see it again because they’re normally so hard to track. If you want to prevent this, we highly recommend BrokerCheck because it will allow you to see the records of all qualified investors. Since the app is actually owned by FINRA, which is the regulator within the industry, you can trust the information and use it when choosing a broker. With a simple name search, you’ll quickly bring up their record which will include their experience in the industry, whether they have any black marks, and their previous employment information. As long as you follow the information on BrokerCheck, you can make a decision you feel happy with both now and long into the future. For more information about what you can learn about your broker by using BrokerCheck, we would recommend that you check out our full review at: BrokerCheck Review… It’s free so why not? So far, we’ve focused quite heavily on saving money and where to start. However, what if you’ve already gone past the point of ‘starting’ because you’re in debt? As you might expect, there are apps for this and we like DebtTracker Pro. After entering your financial information, the app will actually recommend recovery strategies; what’s more, it will even send reminders when certain payments are due. Often, our debts become this non-existent being that only exists when we choose to acknowledge it. With DebtTracker Pro you have all the information you need in front of your eyes so you get constant visual reminders of your progress. Although getting yourself out of bad debt can be a tricky process, DebtTracker Pro makes your goals attainable and rewarding. Want to learn more? Feel free to check out our complete review of the DebtTracker Pro app at: DebtTracker Pro Mobile App Review… Why is it Helpful? While technically, we decided to first include the Decluttr app on our best money making apps list, we’ve also come to learn that you really can find a lot of good deals on used phones, gaming consoles, tablets and even Legos! We decided that we might as well include the Decluttr app on our best money saving app list as well because if you can find a slightly used iphone for $200 bucks less that it would cost to buy a new one, well… then that’s a good deal in our opinion. For more information about the Decluttr app, be sure to check out our Decluttr App Review. Simple in name, simple in nature; with Digit, you have an app that wants to help you assess your financial situation before then calculating what you can save on a regular basis. Although it depends on your financial status, most people find that between $5 and $50 gets sent to an FDIC-insured Digit account every few days. If you’re to choose this option, we highly recommend setting a minimum balance for your bank account. Although it’s rare, you may find that Digit dips into your overdraft in order to continue saving at a consistent rate. Fortunately, the programmers realize that this can happen which is why they’re happy to refund two overdrafts. However it’s always best to just avoid this debacle and it can be done by setting a minimum balance. To learn more about the Digit app, please visit our complete Digit Review article to see if it might be a good fit for you. If you haven’t heard of ebates by now, chances are you don’t own a TV or your purposely trying NOT to save money! Over the last couple of years or so, the eBates app has exploded in popularity. Mainly because its a GREAT way to save money and because they have been able to partner up with so many fantastic retail partners. Ebates offers a pretty generous referral program so that it’s users are not only motivated to share how much their saving each and every month, they also get a $5.00 bonus if they can convince you to give it a try. Although Expensify is a superb tool for all those looking to keep track of their finances, it excels when it comes to freelancers. Why? Because not only is it easy to use but it also allows you to track an expense most freelancers forget; driving. If you work as a freelancer, there are certain expenses that are tax deductible and your gas money is included in this list. Therefore, Expensify will allow you to input your driving miles and the amount of money you spend so it doesn’t get forgotten when it comes to your tax return. In addition to driving, there are three other features including Track Time, SmartScan, and Add Expense. With SmartScan, you can take a quick photo of receipts before then arranging them into different categories. Rather than keeping a drawer full of receipts, which leads to a headache when taxes are due, you just take photos whenever necessary and the app will remain organized. For more information about Expensify, please be sure to check out our complete review at: Expensify Review… Does it Really Help Track Business Expenses? With a 401(k) and other investments, you normally think there’s no way you could be doing it incorrectly but the options are just so vast that you may be paying more than necessary. By linking the appropriate accounts with FeeX, the money saving app will assess the amount you’re paying towards the retirement plan and to the advisor. With each investment portfolio you have, you’ll be given a grade in terms of the fees you’re paying. If you’re paying more than 1%, this will be an ‘F’ grade while an A+ can be achieved with fees of less than 0.05% a year. If you’re paying too much, lower-cost alternatives will be provided and this will allow you to save money and make more of your investments. To learn more about how Feex works, be sure to check out our complete review at: Feex Review… Exposing Hidden fees, for FREE! Using feedback from over 60 million GasBuddy users, you can get a lot of money saving info using the GasBuddy App. It has an extensive gas price list of places offering the lowest gas prices in your area. You can also help out your fellow travelers by providing your own price reports. In addition, the app provides a trip cost calculator so you can make a travel budget for even more savings. To learn more about the GasBuddy Mobile app, and about some of the additional feartures that it offers beyond just helping you find the lowest price on gas in your area, we would encourage you to check out our complete GassBuddy Mobile app review at: GasBuddy Mobile App Review… More than just saving money on gas! Is one of those great websites where unless someone has told you about them, chances are you probably have no idea what it is that they do or sell. Which is why it give us great pleasure to include them here on our list because not only will Gazelle help you make money by getting rid of all those “high tech paperweights” laying around your house, it’s also a great place to look for your next smart phone, laptop or tablet. Gazelle is an online market place where folks can not only shop for used electronic, they can also receive “quotes” on what their only devices might be worth and if the numbers are right, can sell them instantly without having to argue about price! Oh, and did we mention that Gazelle also has “tons” of kiosks across the nation that where you can turn in your unwanted items? For more information about Gazelle be sure to check out our full review at: Gazelle Review… Why wait to upgrade? Ok, now the only way that we can really consider the Google Opinion Rewards app as a money saving app is if you already shop on the Google Play app or if you happen to download a lot of things that the Google Play app offers, only currently your purchasing these items elsewhere. The Google Opinion Rewards app allows you to complete online surveys about a wide range of products in exchange fro points or credits which can them be redeemed as “cash” at the Google Play shop. So, like we said, if you currently shop at the Google Play shop or think that you might now that you can save a few bucks buy using the Google Opinion Rewards app then this could be a nice option for you. If not, then you’re probably better off just scratching this one off of your list. Form more information about how the Google Opinion Rewards app works, we would encourage you to check out our complete Google Opinion Rewards App Review. As we’ve seen before, you can’t save money without first knowing where you spend it. For most of us, grocery shopping is a huge expense every single month but Grocery iQ will help you to become more efficient with the process. After downloading the app, which is available for both Android and iOS, you can build your own shopping list since they’ve created a huge database of food and drink items. Furthermore, you can also take advantage of barcode scanning and voice recognition which are two nice additions. By writing a shopping list and sticking to it, there’s no way you’ll go over budget. Additionally, Grocery iQ has some brilliant coupons and offers for their customers so this is something else you can utilize to help you save money. For more information about the Grocery iQ and how it works, feel free to check out our complete review: Grocery iQ App Review… What’s it All About? Nowadays, it seems like just about everyone is taking advantage of how convenient it can be to “shop” online. Which is why, the iBotta app has really begun to take off because, it allows you to “earn” cash back on many items you would normally be purchasing anyways. Now, its one of those “kinds” of apps that will take a bit of getting used to using, but over time, if you incorporate it into your daily shopping, chances are you’ll begin to see some REAL savings in no time. The LetGo app is one of those apps where we feel that it is both good at helping people make money and save money at the same time. The LetGo app is a online platform designed to help people sell thing that they no longer want. And while this is a great way to “declutter” your house and make a few bucks on the side, it’s also a great place to find items you may need for yourself at a great price! As a normal part of life, we all have a social side whether this exists with old school friends, sports teammates, colleagues, or perhaps buddies at a debating club; it could be with anyone. However, what if you could enjoy this social life while also saving a good amount of money? With LivingSocial, you’ll have direct access to some of the best discounts in town. Whether it’s a restaurant, hotel, or any other location, LivingSocial is a hub for all great deals you can utilize nearby. With this great money saving app, there’s actually a hidden incentive that could see you get the deal for no cost at all. If you share the discount onto a social media account and three different people click on the link to purchase, you won’t have to pay a penny. For more information about the LivingSocial app, be sure to check out our full article: LivingSocial App Review… Are Those Deals Legit? Mercari is online sales platform that we have found that works great for a lot of folks looking to get rid of a wide variety of items. It’s particularly nice for those who don’t really want to deal directly with the individual buyer buying their items since Mercari will help you handle all the shipping costs during the transaction. Why we’ve chosen to include in here in our money saving app list is easy, because you can really find a lot of great deals on the site/app. That said however, we should mention that as a buyer using the Mercari app, you will be expected to pay a 10% service charge to Mercari for “facilitating” the sale, but even with this service charge, we feel that you can definitely find some great deals here so you should at least check it out. For more information about the Mercari app, feel free to check out our Mercari App review. For us, we often find that money can be saved more efficiently just by tracking our finances and watching where the money is going. If you don’t know where your money is disappearing to, how can you expect to save money? At this point, we should introduce Mint which is a superb app for saving money. If you want one place to assess all your accounts alongside your income and expenditure, Mint is the app for you because you can see everything (and we mean everything) across a range of well laid out screens. If you happen to own an iPad, you benefit even more because you can review graphs and various other analytical tools. If you’re worried about everybody seeing your financial information at the click of a button, you can set up a password for the app and you can even deactivate your account if your phone is lost or stolen. For more information about Mint and how it might help you personally, we recommend that you visit our article: Mint Review… Will it Help You Manage Your Money? As they say, time is money and Mobile Passport will allow you to get trough Customs significantly quicker since the app has actually been authorized by the US government. After entering your personal information, you then need to add passport information and a selfie to check your identification; once done, you can jump right to the front in the ‘Mobile Passport’ line. 21 airports currently participate in the program and this includes a number of major airports across the US so the ones you’re likely to reach or use when crossing the country or going anywhere in the world! OfferUp is another example of a “money saving app” that we have also chosen to include in our best money making apps because it provides individuals with a great online platform for being able to sell unwanted items fast! Now the reason why we also want to include it in this article is because we can personally attest to some of the great deals that you can find as a “shopper” by first checking out what others in your neighborhood are trying to sell. And as we all know, a penny saved is a penny earned which is why we feel that you should never underestimate what you might find on the OfferUp app. In addition, OfferUp attempts to provide greater security to its users by incorporating ones “social media” profile to a sale so that you can get a better idea of who your are buying from or selling to online. Haven’t heard of ReceiptHog? Well chances are you’ll be hearing about them really soon, because they are another great way for you to earn points which can be redeemed for prizes simply by shopping for things that you probably already buy on a daily basis already. You really should read our complete Receipt Hog App Review so that you can determine whether or not it’s going be a good fit for you. Walmart’s Savings Catcher is a great way to save money. The way it works is you scan your store receipt. Then Walmart checks out your areas top competitors to see if it can find advertised deals on any eligible items you purchased. If Walmart finds a match, Walmart send you an eGift card with the difference between the price you paid at Walmart and your local competitors advertised price. When it comes to the very best money saving apps, we also find it useful to look at the apps that also allow us to save money indirectly. Rather than taking money from your account each month or skimming some away from your online purchases, why not save money on your travel and other areas of life? With Rome2Rio, you simply enter your destination and you’ll be shown your list of travel options including all the different modes of transport available. What’s more, it gives the duration of your trip door-to-door and how you can reach your destination in the quickest time or cheapest price. With most search results, you’ll actually find they show a combination of travel options which is particularly use if you’re staying on land without the need for a flight. Suddenly, you can see which combination of trains and buses to use. For more information about the Rome2Rio app and how it works, feel free to check out our complete review: Rome2Rio… Save a Buck, Discover an Adventure! Once you download SavingStar onto your device, you have an online coupon program which has connections with thousands of drugstores and grocery stores. As long as you have a loyalty card for the stores in question, you can simply choose the digital coupons that catch your eye and earn cash. If you aren’t interested in the cash savings, you can even choose to donate the money to American Forests. As we saw previously, buying your everyday items with coupons allows you to free up some cash elsewhere which can be saved or put towards paying off your bad debt. For more information about the SavingStar app and how it works, feel free to check out our complete review: SavingStar App Review… is it Legit? According to the latest count, this money saving app is being used by six million people which perhaps shows its popularity and use more than we could explain here. If you’ve never heard of the app previously, you can actually earn points by getting your friends to join, making purchases, and entering certain stores such as Target, Best Buy, and Macy’s. From here, you can withdraw your points into gift cards for a number of stores. When we explain this option to people, they often say ‘that’s great..but how does it help me to save money?’ and it’s a good question. However, think about it, as long as you choose a gift card for somewhere useful, it can be put towards things you normally buy with cash. In turn, this frees up the case which can be spent elsewhere thus saving you money. If you want to make the word ‘save’ even more applicable, the cash can be invested into a savings account or some other small investment account. For more information about the Shopkick app, be sure to check out our full article: Shopkick App Review… Is it Worth Trying? Whether for business or pleasure, millions of people take a flight every single year. With the improvements we’ve seen in air travel, this is hardly surprising; it seems as though every corner of the globe is now accessible. If you can be found within the group of ‘regular travelers’, SkipLagged will really benefit you because you can enter a starting point and a destination before then being shown the cheapest tickets on the market. Furthermore, they actually utilize a trick that isn’t so well known in the industry and it’s called ‘hidden city’. Sometimes, it will be cheaper to buy a ticket with a stopover, where the stopover is your destination, than to buy a ticket directly to your destination; this is only true if you buy one-way tickets. If you need to come back at some point in the future, buy a one-way ticket the other way using the same process. Just because you buy a flight ticket with two legs, this doesn’t mean you need to use the second ticket at all. For more information about SkipLagged, be sure to check out our full review: SkipLagged App Review… More Than Just a Flight Comparison App. If you’re into mobile coupons, SnipSnap will be one of the most enjoyable and best money saving apps. In the past, one of the biggest problems with coupons is that physical versions couldn’t be used online. Instead, you needed to head to the physical store and hand over the printed coupon. For the people at SnipSnap, this didn’t seem to make sense so they created an app that allows you to take a picture of your printed coupon and transform it into a mobile version. In addition to this, there’s also a small community where you can see what coupons your friends have recently ‘snipped’. For more information about the SnipSnap app, be sure to check out our full SnipSnap Review article. Unsplurge teaches us that saving money doesn’t need to be a lonely experience. With a popular community to take advantage of, you can see the savings goals of others while following people you want to keep track of. In addition to this, you’ll be provided with endless amounts of tips to make the saving experience just that little bit easier! For more information on how the Unsplurge app works, feel free to visit our complete review at: Unsplurge Review… Share your goals, share your progress! To start, we have a money saving app for the tech savvy among us and it’s one that allows you to set up various rules for whenever you use your Qapital card online. For example, you might say that any purchase ending in anything between 94 and 99 cents will be rounded up and automatically saved. With this great method of automating your saving, you put money away without even having to think about it. Considering most of us now spend money online using our smartphones, this is a great way to save those pennies. Insured by the Federal Deposit Insurance Corp, all the loose change you build up will move into your very own Qapital account. 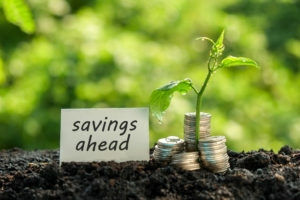 In addition to the method we suggested, Qapital can also save money when you come in under budget on a certain expense. To keep things simple, you could even ask the app to save a fixed sum every day, week, or month. Once set up, you don’t even need to think about it again. When you next check the app, you might just be surprised by how much you’ve saved. For more information be sure to visit our complete Qapital review at: Qapital Review… Does it work? And is it really Free? Qmee is a unique program that not only helps you find great deals while shopping online, it also pays you for the “right” to be able to post ads on your browser for products that you might currently be shopping for! Once you have downloaded the Qmee app to your phone, tablet or computer, you’ll also be given the opportunity to complete online surveys for cash that can be redeemed into your PayPal account or as a gift card from a wide variety of popular stores. For more information about how Qmee works and who much money you could potentially earn by using it, we would recommend that you check out our complete review at: Qmee Review: Is it Legit or Another Scam? Finally, an app that makes sense! Despite being a detailed saving app, You Need a Budget (YNAB) is actually very simple to use and this is helped by the fantastic interface. Backed by some financially-sound principles, YNAB has one goal and this is to make your finances stress-free and simple. For more information about the YNAB app, we would recommend that you check our YNAB Review article where we go into more detail on how YNAB actually works. So there is our current list. Stop by in a few months for more as we try our best to stay up to date on apps that save you money. Don’t see your favorite money saving app in our list? Please leave us a note in our comments section below. What about the following: Groupon, Ebates, and Ibotta? Your right, we need to include these three great programs as well. We’ll be sure to include them in our updated article for 2018 that we’re currently working on right now. Spoiler alert… we’re going to have a lot more than 22 on this list for 2018!